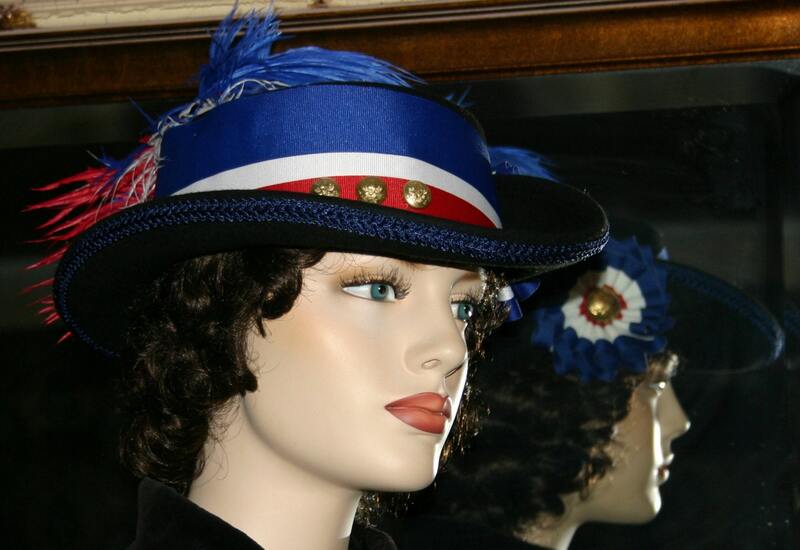 Victorian Hat Designed especially for the Civil War Vivandiere. 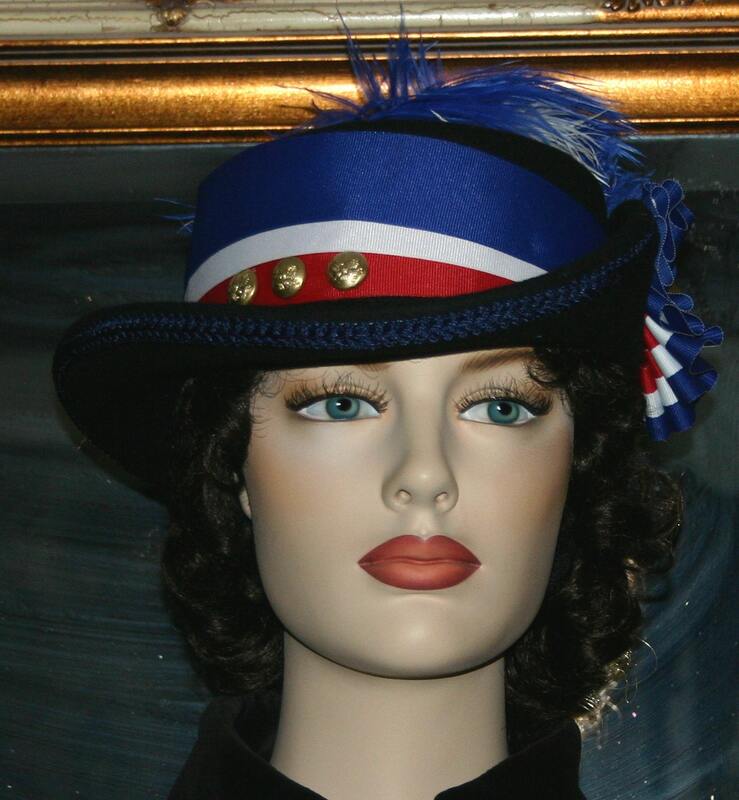 It's designed over a beautiful Navy Blue wool hat. 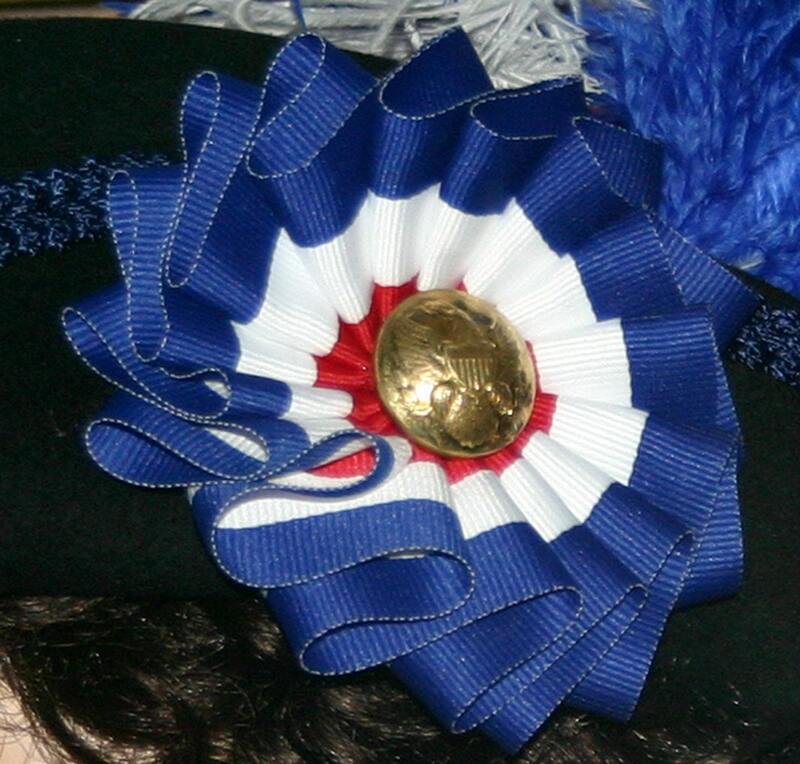 The ribbon is grosgrain accented with brass civil war buttons. 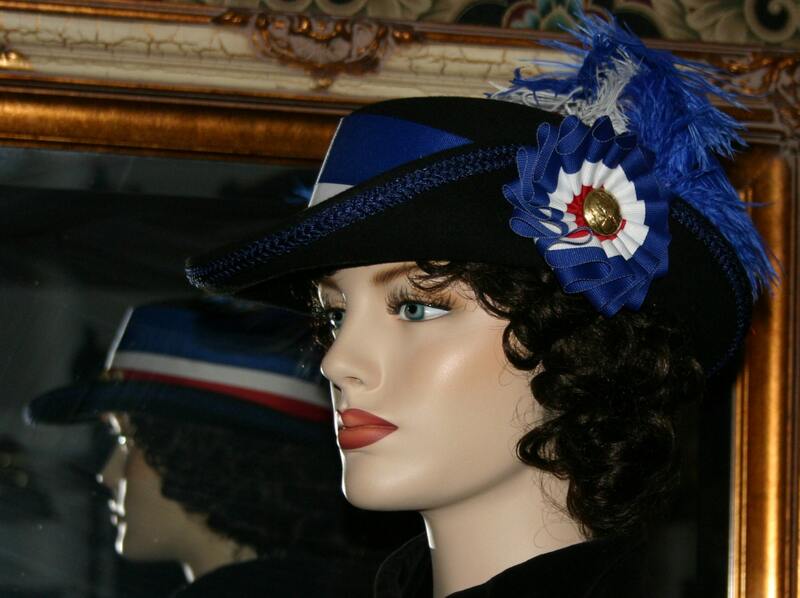 Navy Blue French gimp adorns the edge of the brim. Red White and Blue feathers are the finishing touch.